As of August of 2004, I live on a small island off the coast of Thailand where almost all of the roads are just dirt tracks. 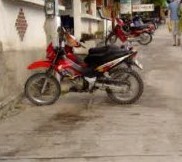 When I first arrived here, I bought a Yamaha WR200 which really was a pretty serious off road bike. But being such a robust bike, it was just that much heavier. Going up and down the really steep roads was too unmanageable with it. The weight wouldnt let you slow down, or if you were going up wouldnt let you go up slowly without sliding back down the hill. 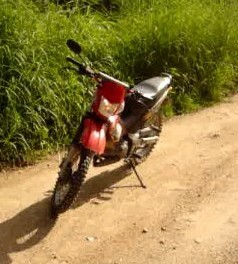 You'd have to be full throttle all the way up, and with the ruts from the rain, that was just too dangerous. I finally hurt myself on it one day and immediately returned it for this bike. I love the Sonic for around these parts. I've had it up to 100km/h easily, and around here, theres only the one paved road, so theres not much need to go any faster. Also, being such a light bike, you can zip over the mountains with relative ease. 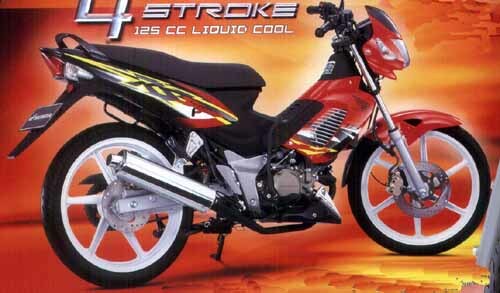 This bike is also a 4-stroke, so its much quieter, smoother, and pollutes less. 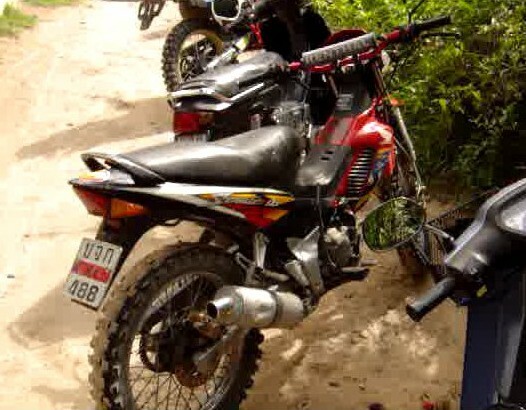 Koh Tao, the island I live on, is the only place I know that makes a special version of this bike. Once the bike arrives, the tires are swapped for off-road tires, larger fenders/mudguards are put on, along with heavier suspension. I've also added a sport muffler which gives a little extra kick, and a lower sound. (The photo above is how it comes from the dealer). Its basically turned in to an off-road moped. 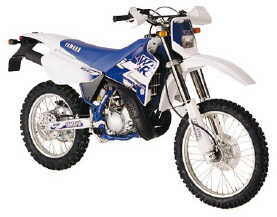 Well, the 125 is bigger than your average moped, but smaller than your average dirt bike, so its a nice middle bike.